These quirky elves will add a sense of humor to any holiday décor. Simple y-seams & fun fabric add to their charm. 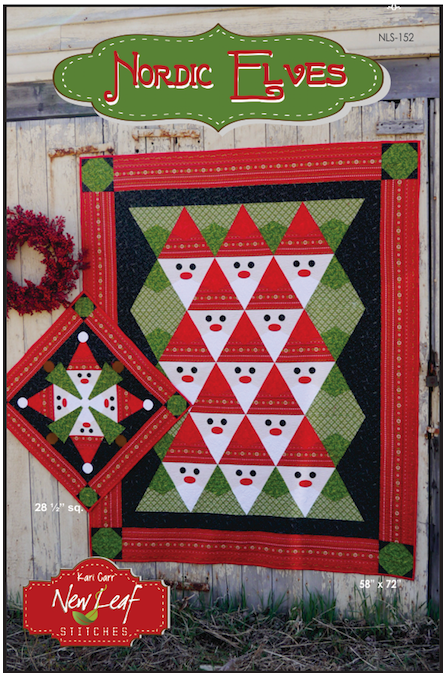 Lap quilt and table topper are included in the pattern. Printable templates available.